New Indian Express – COLOMBO: Rangana Herath warned South Africa Thursday to expect yet more spin in the second Test after the visitors were skittled for their lowest total since the Proteas’ readmission to international cricket. 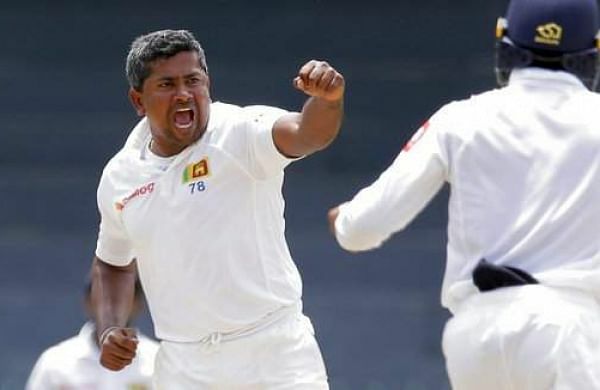 COLOMBO: Rangana Herath warned South Africa Thursday to expect yet more spin in the second Test after the visitors were skittled for their lowest total since the Proteas’ readmission to international cricket. Sri Lanka are chasing their first Test series win against the Proteas since 2006 and need just a draw to clinch the honours against the world’s second ranked Test side. South Africa lost the opening Test in Galle inside three days after being dispatched for 126 in the first innings and 73 in the second. Proteas skipper Faf du Plessis top-scored with a gritty 49 while paceman Kagiso Rabada impressed with four wickets in Sri Lanka’s first innings. Du Plessis added that South Africa was aiming to conquer local conditions in their bid to overtake India — about to embark on a five-Test series in England — and become the number one side.